“Somewhere Over the Rainbow” there’s a place where love is bountiful and hugs are a’ plenty. Winter Family Camp 2010 was just that place where the ground was covered in snow, the campers were full of excitement and the parents were ready to have some fun! The stress and stigma of HIV/AIDS was melting away, just like the snow on the ground. Returning once again to YMCA Camp Arbolado, 92 campers, including children ages 3-17 and their parents/guardians, joined the Winter Family Camp experience. Winter Family Camp is unique because it gives parents and guardians the chance to experience what Camp Laurel is all about. Now, instead of just hearing their children sing the camp songs they learned at Summer Camp, they can sing along to the songs they learned together. 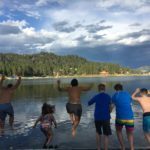 Winter Family Camp, with the help of highly trained medical and counseling staff, helped create an atmosphere where campers were able to forget about their illness and enjoy life. This was achieved as participants pushed past their comfort zones by trying new activities, developing a stronger family unit, and creating supportive relationships with their peers. 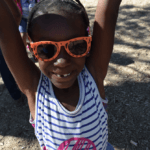 Reflecting on experiences at Winter Family Camp throughout the year is one way to bring smiles to the faces of parents and guardians who deal with the stressful realities of HIV/AIDS. 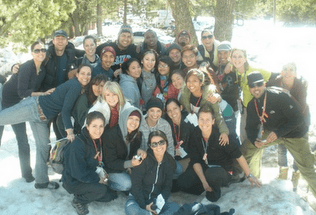 The proof of their personal growth is apparent as they reconnect with the Camp Laurel once camp is over. One parent called to express that her feelings of isolation and loneliness decreased while her confidence in her ability to parent has grown through her participation with Camp Laurel. Another parent expressed that Camp Laurel taught him about togetherness and tolerance, while he feels the life lessons learned at camp made him a better parent as he discovered his son could be independent. For parents, the self-awareness and new surroundings at camp give them a chance to see their children in a whole different light that transcends beyond camp. They observe their children as leaders and role models; they laugh and play with their children in a safe and non-judgmental environment. There is hope. They can exhale. 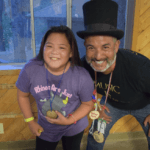 In a world where the worries of HIV/AIDS are ever present, the Counselors-in-Training (CITs), through the superb guidance of veteran counselors, Ruben and Lorenzo, set an example to the younger campers of what it takes to be a leader at Camp Laurel. Ranging in age from 15-17, the CITs are campers who have shown true leadership skills, both past and present, and continue to demonstrate what it means to be a positive role model. They were truly the Yellow Brick Road that helped lead other campers to success by guiding them through difficult obstacles. This year the sun smiled down at us with perfect weather. And as the campers and volunteers winded their way down the mountain with warm hearts and big smiles, singing camp songs until there were no more songs to be sung, the bright and colorful rainbow of Winter Family Camp 2010 reflected brightly in the sky, reminding them of the amazing memories that were made this year and of the new memories to be had at camp next year. As one parent said, “Camp Laurel has given me and my kids a better outlook on life.” I guess there really is NO PLACE LIKE CAMP! !